Tampa, FL—January 2017… From the time he was five years old, Lee Silverstein has battled one form of cancer or another, and he’s winning in more ways than one. Having survived stage 4 colon cancer, he knows what it takes, and he wanted to do something to help others facing similar challenges. His unique Colon Cancer Podcast offers hope and inspiration to others who are affected by the disease, provides an outlet for those who want to share their story, and delivers important information about colon cancer. 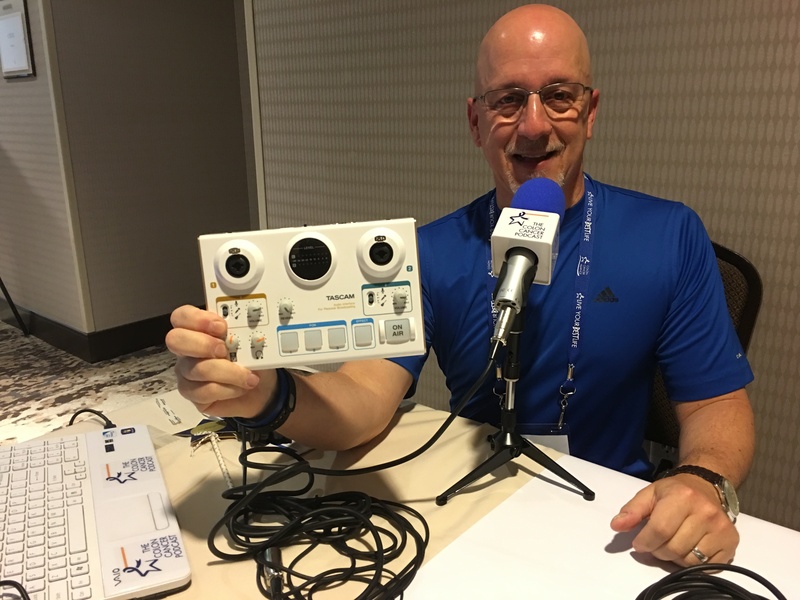 Recently he upgraded his podcasting system in a big way, adopting the TASCAM MiNiSTUDIO Creator US-42 as the centerpiece of his rig. The Colon Cancer Podcast is created off line, not podcast live, so Silverstein uses the US-42 in Creator mode, which is optimized for audio production. In this mode, the loopback feature used in Broadcast mode (for live podcasting) is turned off, and the mic inputs are routed separately to the computer. He uses the US-42’s PON pads to trigger transitions, initially using the prerecorded sounds. Although he started with no podcasting experience, Silverstein has worked hard, and his efforts have been extremely successful. 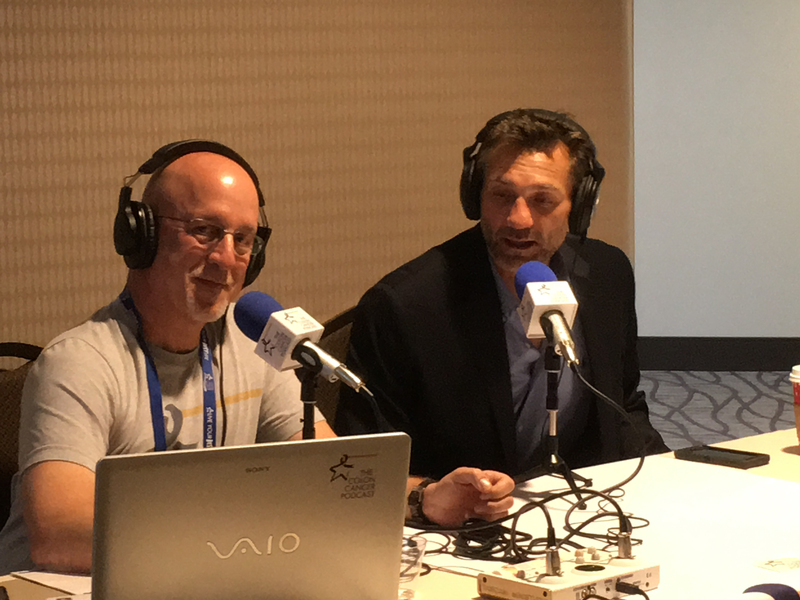 The Colon Cancer Podcast is supported by the Colon Cancer Alliance and is the only podcast that deals specifically with colorectal cancer. Guests are happy to appear and share their stories and information, and the podcast has a loyal following. Silverstein is now able to travel to conferences, where he can record podcasts with an even wider group of guests.